Holy **** guys. I don't know how this one went unnoticed for so long but. 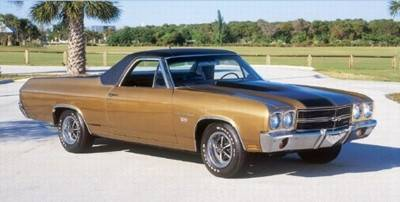 The El Camino is the wrong year!! 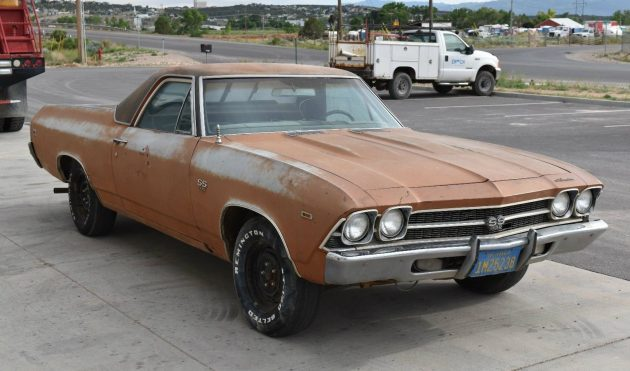 Here's a 1969, pay attention to that front. 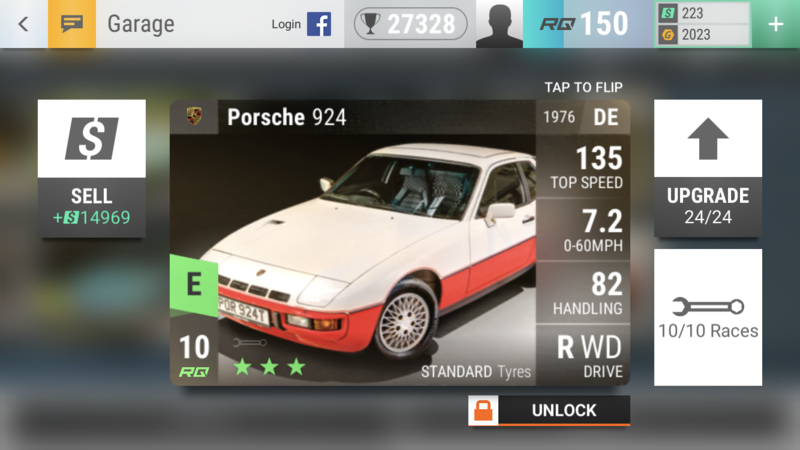 Now the card itself back at launch, the stats remain the exact same bar the RQ which is 14 (soon to be 15). The front is the same as that 1969. 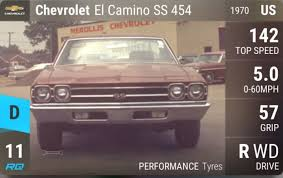 The stats are correct for an SS 454, so all that needs done is an image change. (I admit, I will miss the front facing image and the older look, but at least we'll likely be able to see the rear a bit now. Edit: I mean no offense with the whole "I'm amazed this went unnoticed" I'm amazed we never caught it since it was kind of a small thing. Edit 2: Shoutouts to my pal Tri who caught this one. 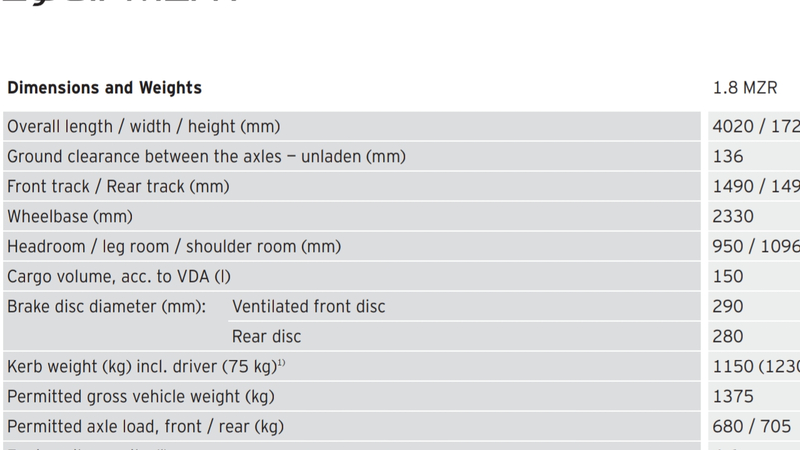 a question about low/medium ride.. why nissan Skyline have low and Mitsu Evo have medium? 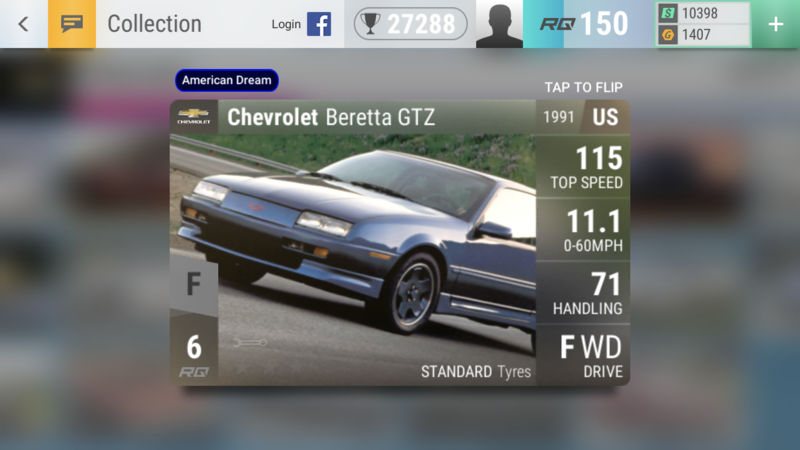 The Beretta GTZ stats are off. 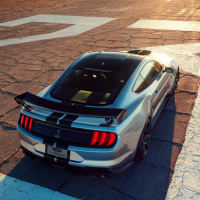 It does 0-60 in 7.5 seconds, not 11.1. Handling should also be higher. 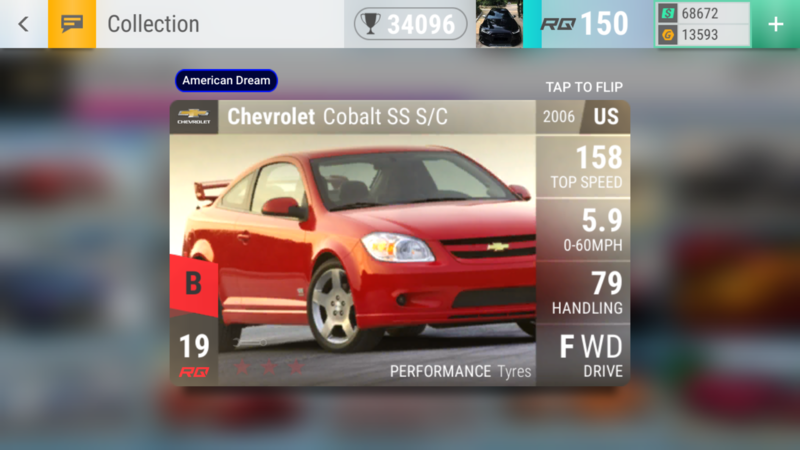 I believe the performance stats were taken from a base car and not the GTZ. Here's a retro review from 1990 for proof. 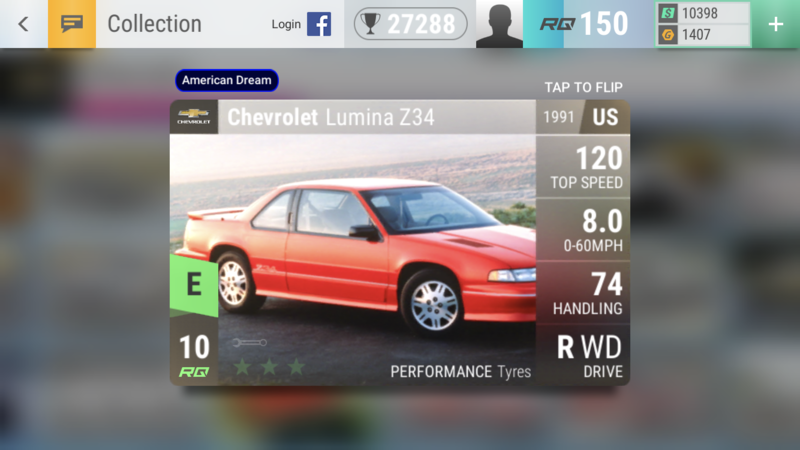 The Lumina should be a bit quicker to 60. Around the 7.2 second range. 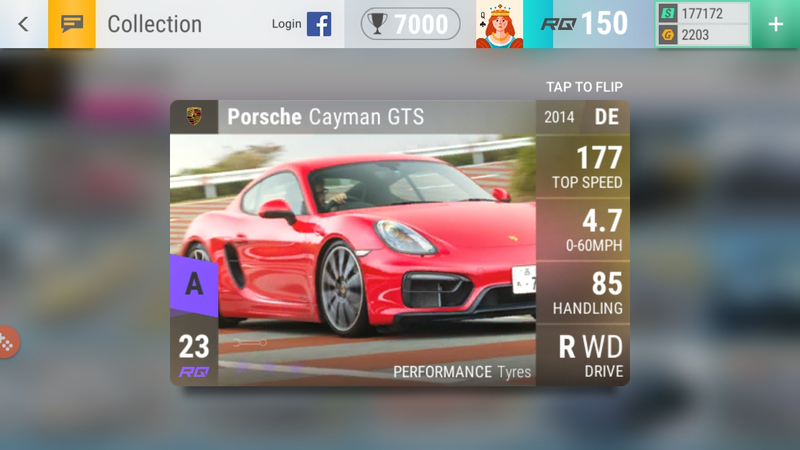 Also, this car is FWD, not RWD. 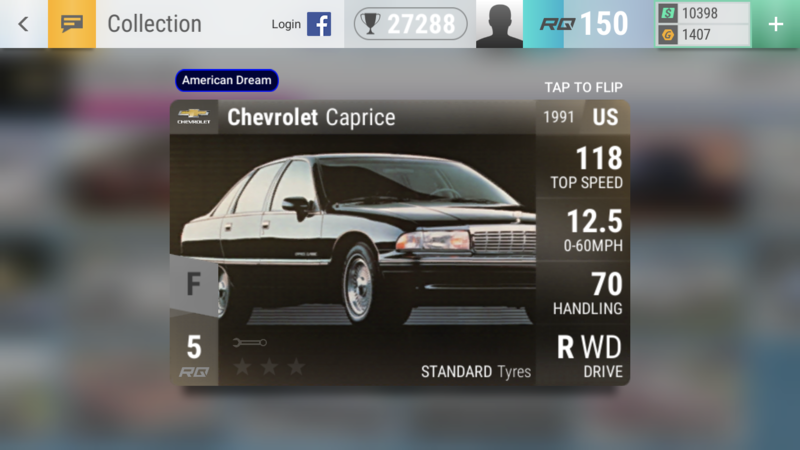 The 0-60 for the Caprice should be closer to 10 seconds. 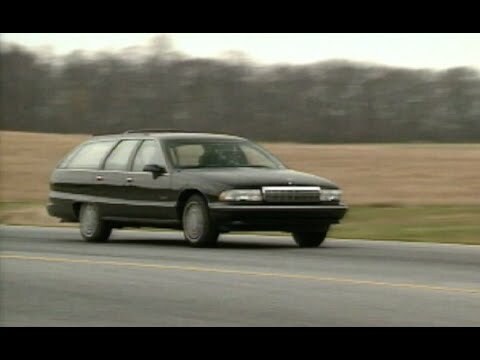 Even the heavier wagon pulled off a 10.5 second run in 1991. Here's the video. 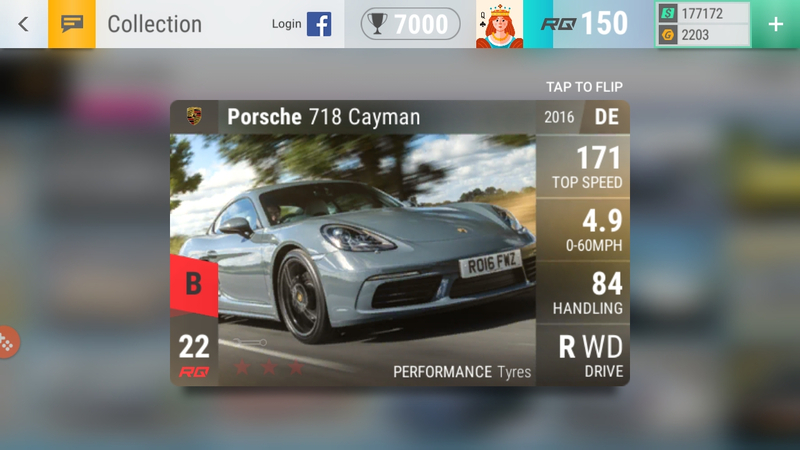 The Berlinetta is slow, but it's not THAT slow. 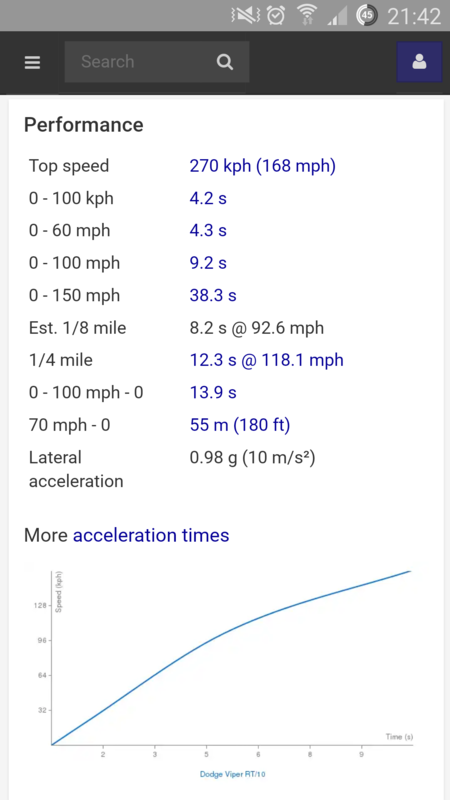 0-60 should be around 10.0 seconds. Here is a comparison from 1983. 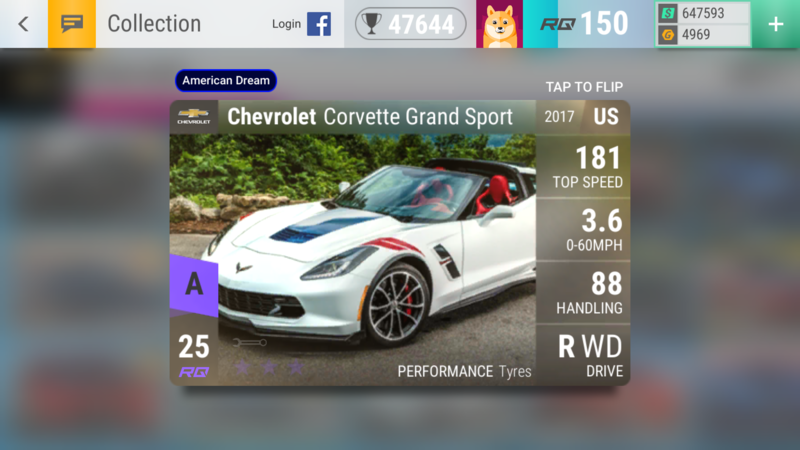 Click the 'Test results' box on the right of the screen for the magazine's performance results. 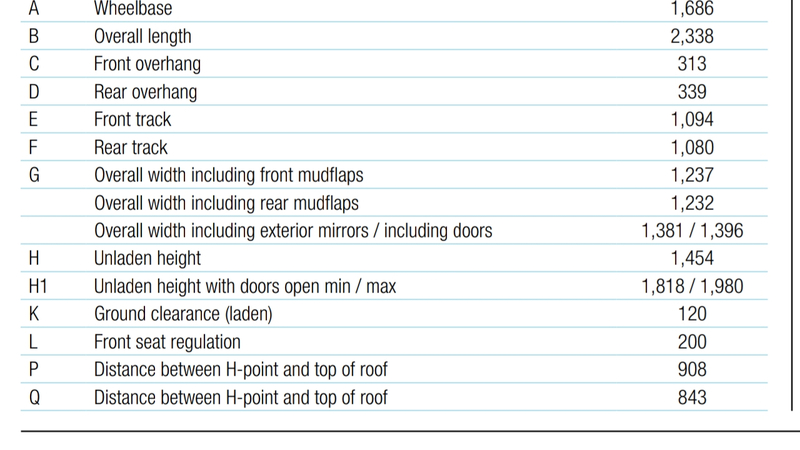 These specs are for the Durange RWD SXT or GT (or even Citadel). 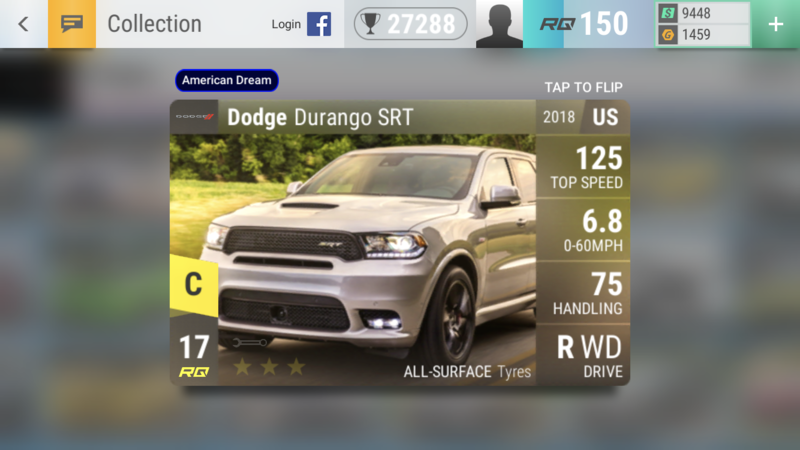 The SRT is AWD and has very different performance figures. Can't really post the picture but this one is such a hilarious screw up. 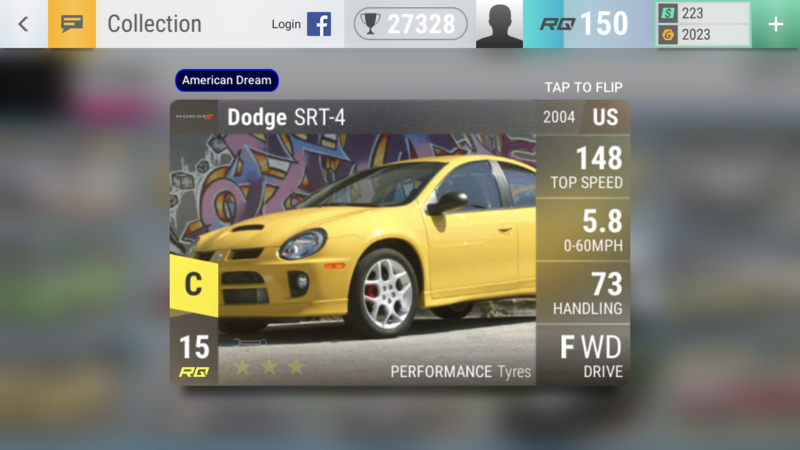 The Neon SRT 4 isn't even named properly... I'm just laughing so much about this one. 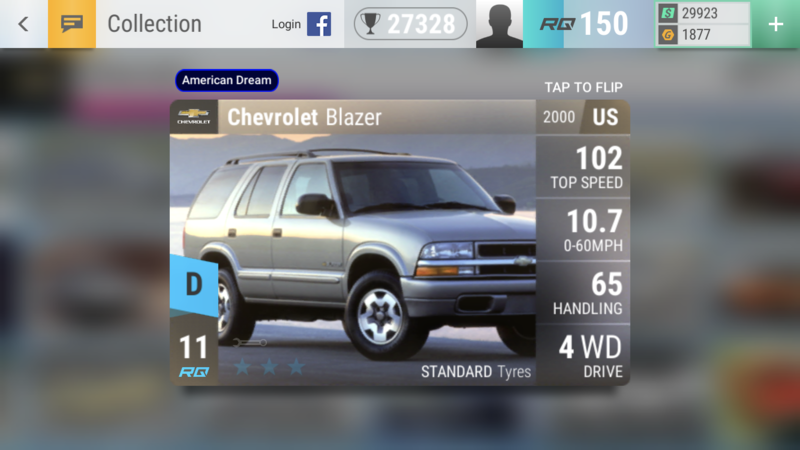 The Blazer should have all surface tires. It’s a true body on frame SUV with a two speed transfer case. 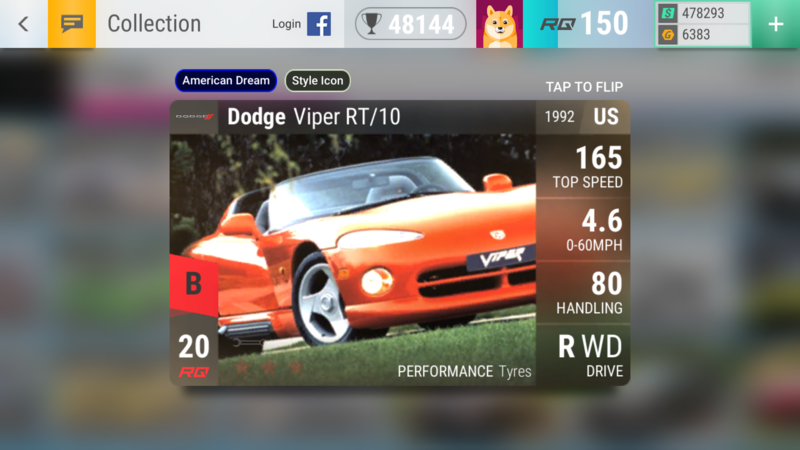 Dodge Viper ACR 0-60 is much lower than 4.0s! 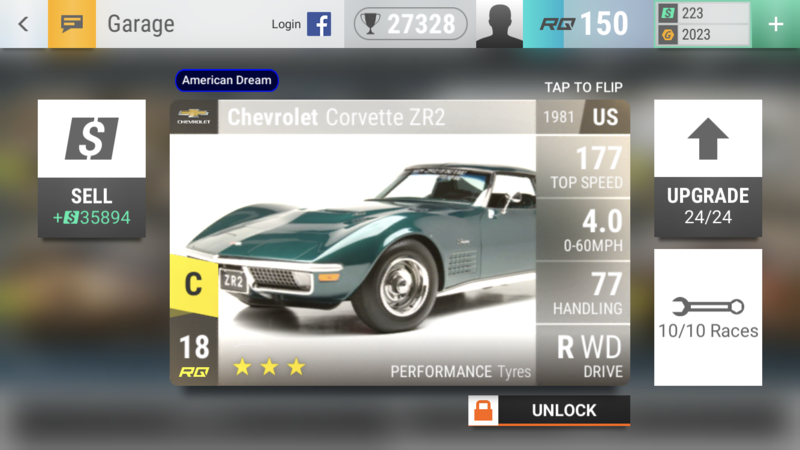 This one has the best stats out of all non-reward-only corvettes, but is only RQ25. 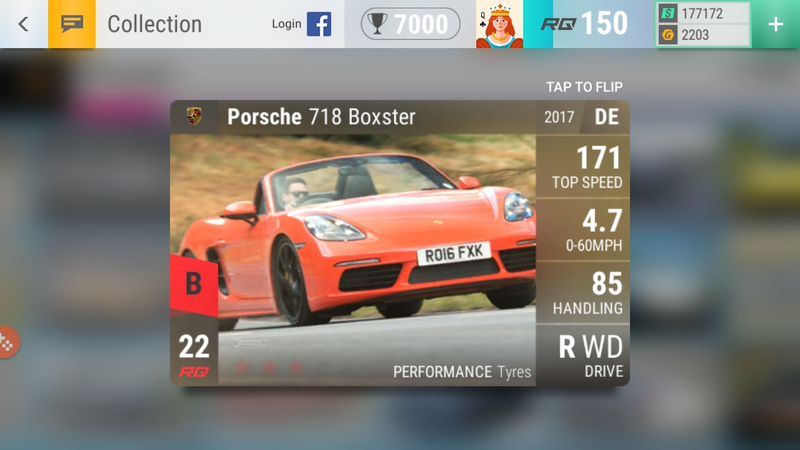 This car is FWD, not RWD. 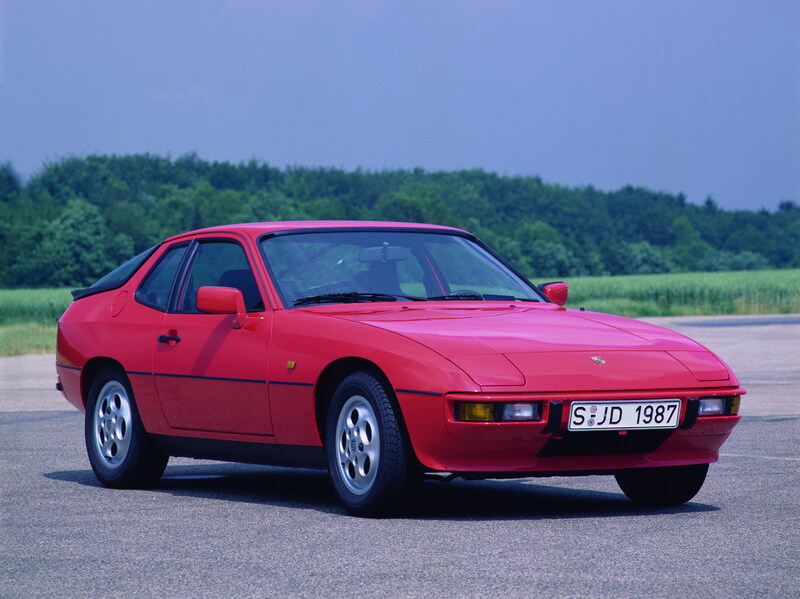 This car should be 1971, not 1981. 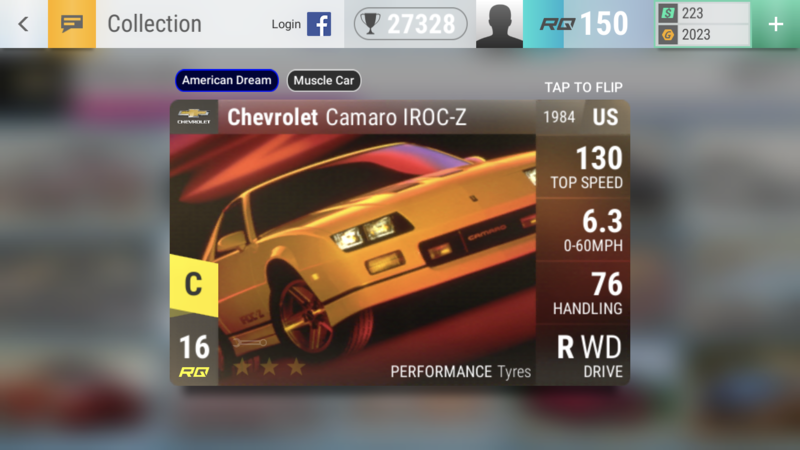 The IROC-Z didn’t appear until 1985. 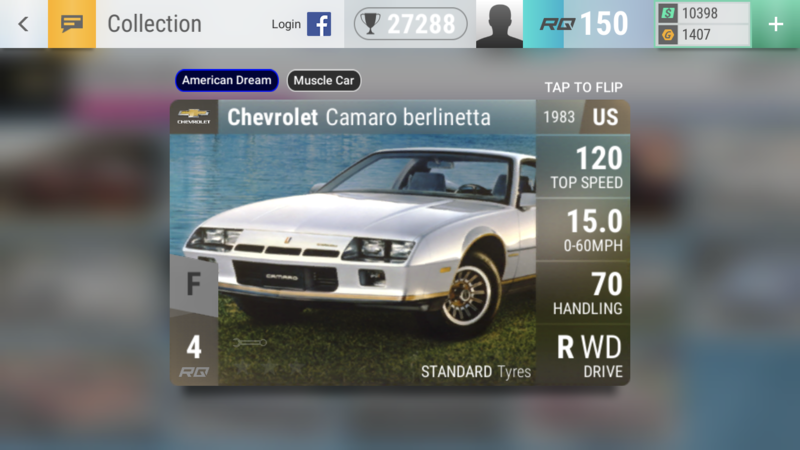 The year and specs associated with this card would suggest the 1984 Camaro Z/28. The image and name need to be corrected. 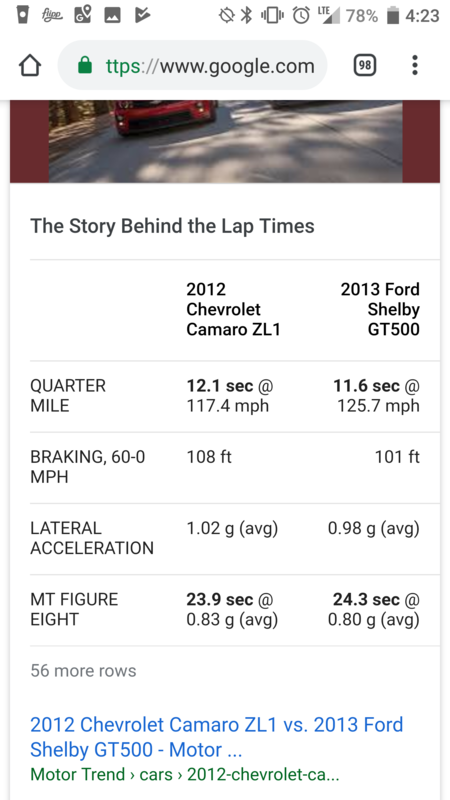 *2015 Cadillac CTS-V*: The picture is correct for a 2015 CTS-V, but all of the stats are for the next generation 2016 CTS-V. The 2015 CTS-V made 556 hp while the new 2016 CTS-V made 640 hp. 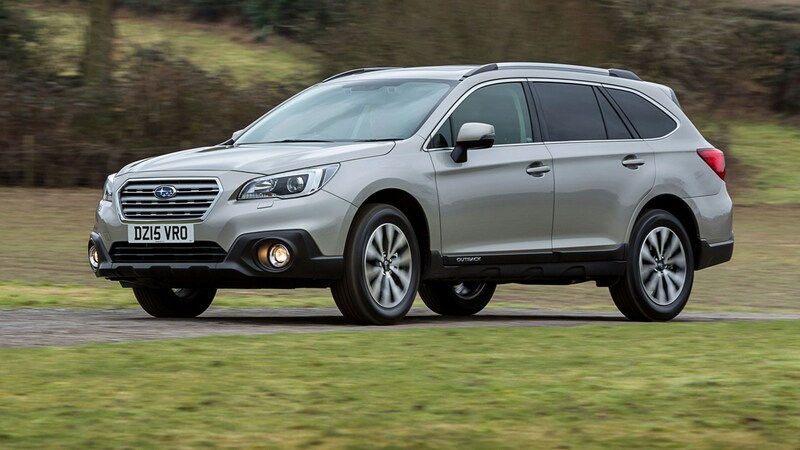 2016 Subaru Outback This is the previous generation in the photo. 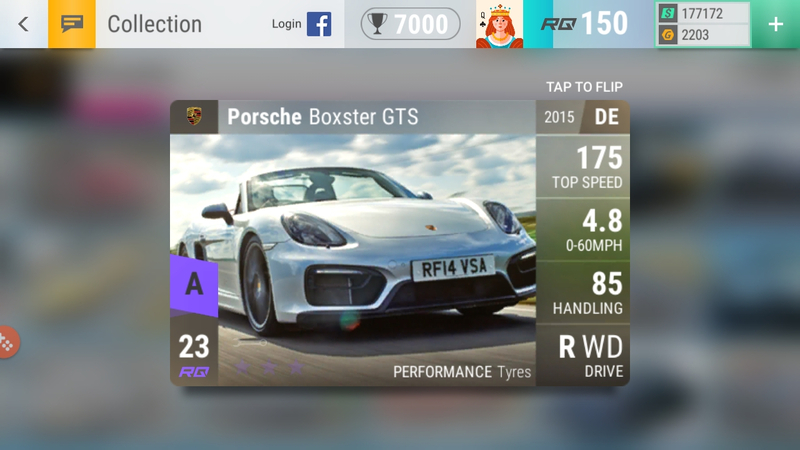 Should be the picture below the card. It's named properly. For the 2004 model year, when power was increased and a LSD was finally added, Dodge dropped 'Neon' from the car's name. The specs though are off. Your link to the article is missing. Here you go. 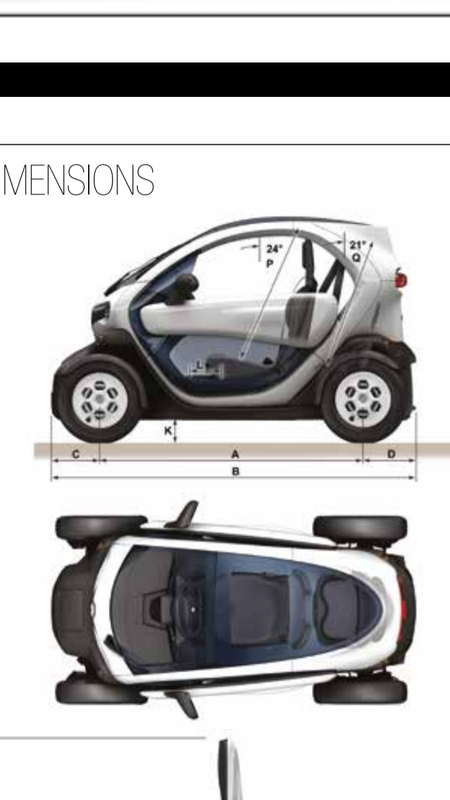 Both cars has the same height and width yet only one of them is medium height. 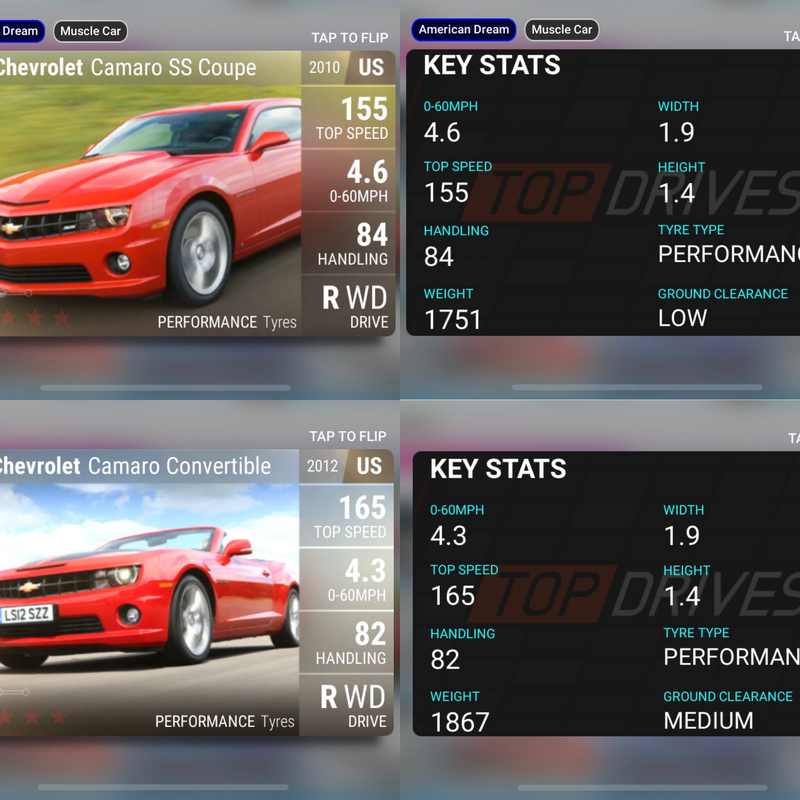 furthermore, as stock the Camaro SS stats should be better than the Camaro Convertible version. 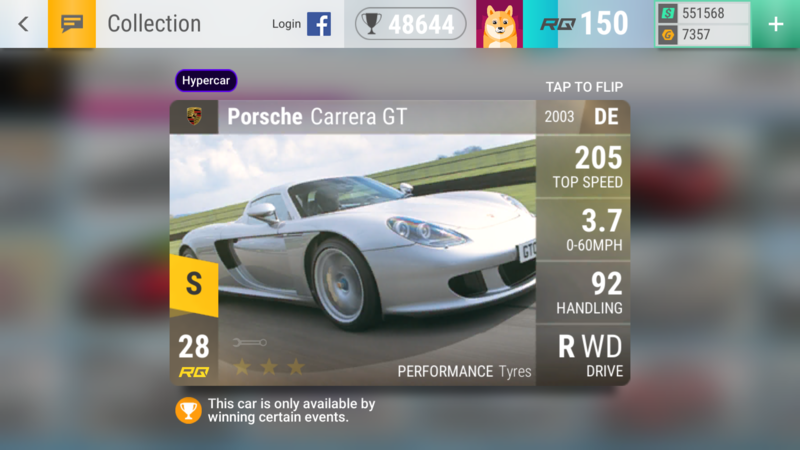 In real life the Porsche Carrera GT has no traction control. Apologies if this has already been raised (did a search but couldn’t find anything) but this model, year and picture don’t tie up. 1. The WRX model didn’t exist as a UK model in the first generation Impreza. 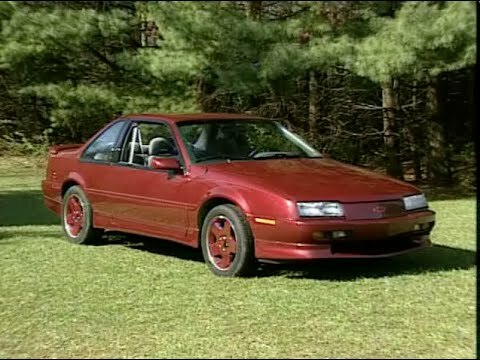 It was called the Impreza Turbo. I know because I bought a brand new one from a UK dealership in 1999! 2. This isn’t the 1993 version, it’s the later 1990s face-lifted version (hence the V-plate which was from Aug 1999 to February 2000). 3. 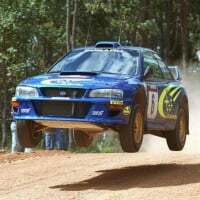 There were various Special Editions of the first gen Impreza, some with WRX designation. 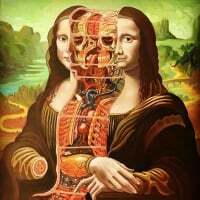 This picture isn’t one then. 4. 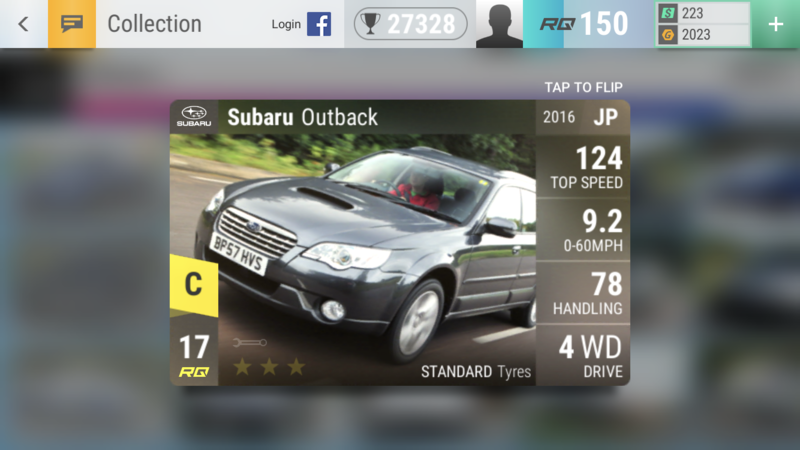 The official Subaru 0-60 time for the stock UK version when I bought mine was 6.3 seconds (remember like it was yesterday!). 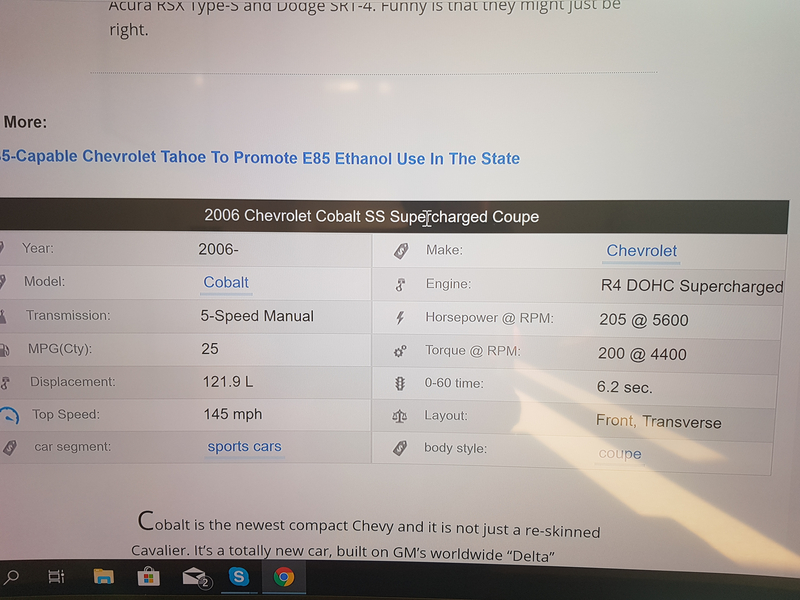 Parkers list it as 6.1, and top speed of 144. 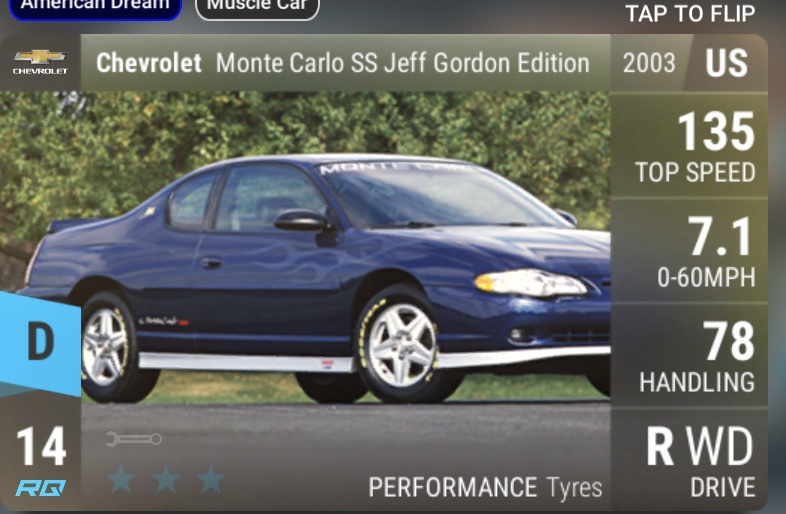 The 0-60 is way too high on this car. 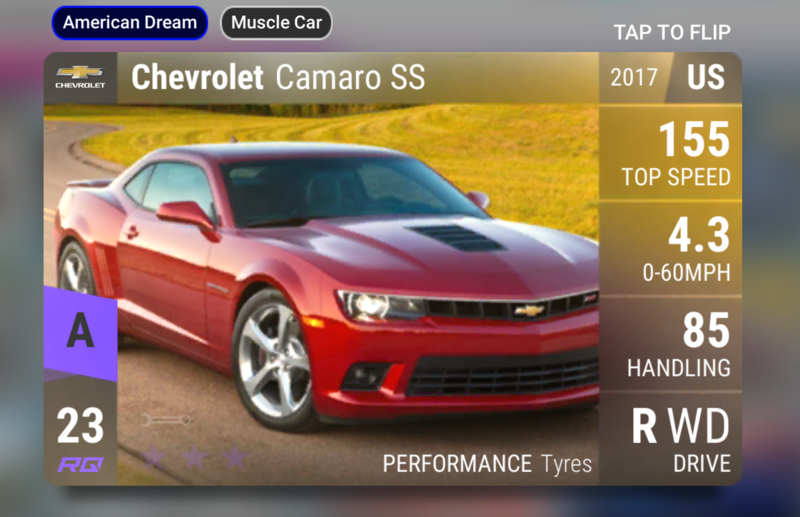 Car and Driver has this car hitting 0-60 in 5.1 seconds. 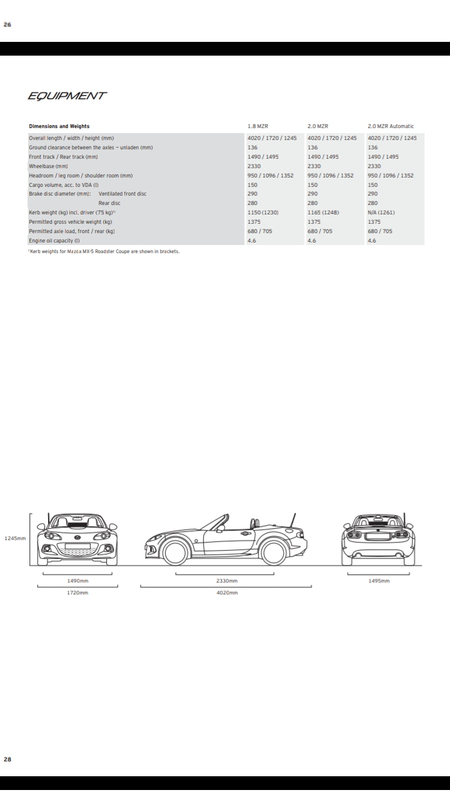 Fiat 124 Sport Spider 1966: 150mm!! 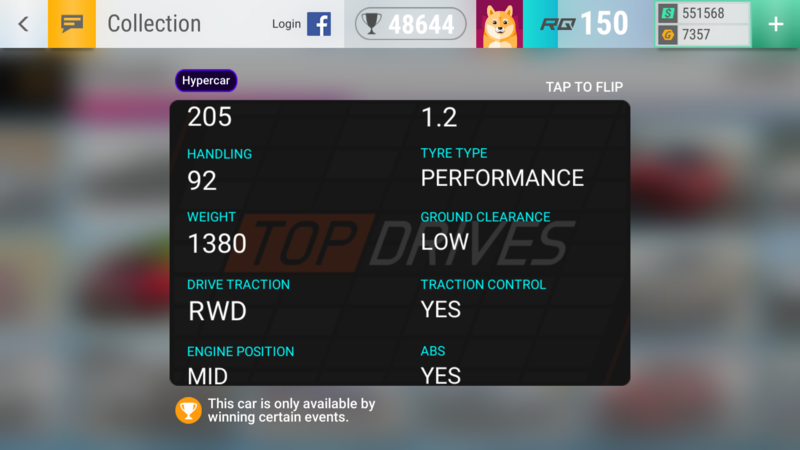 Nissan GT-R (R33) : 173mm!!! Ford Focus RS 2009 : 99mm! !